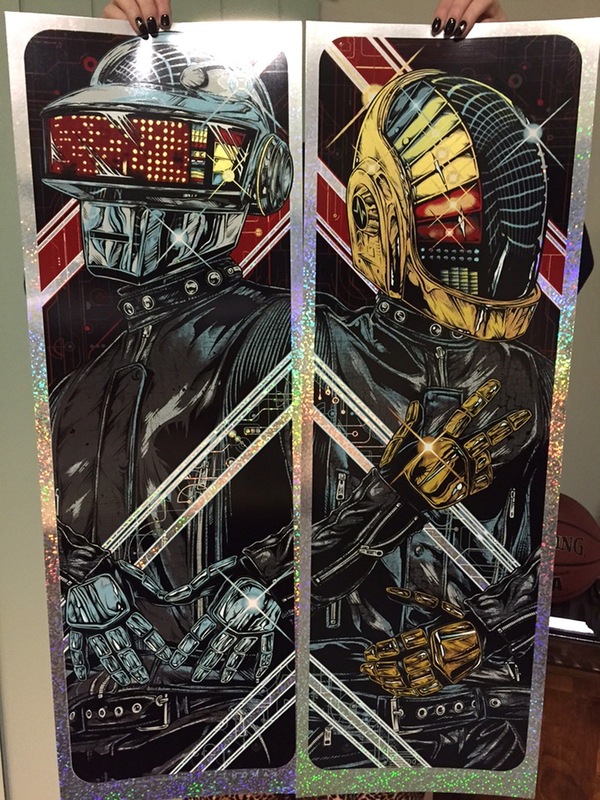 Rhys Cooper will have “Daft Punk” prints available soon. Each print is a 12″ x 36″ 6-color Screenprint, signed/numbered edition of 150 (limited quantities available), and cost $90 for the set or $50 each. Foil variants are available as well. Foil edition – On sale Monday, September 14th at a random time (midday PDT) HERE. Regular edition – On sale Tuesday, September 15th at a random time (midday PDT) HERE. 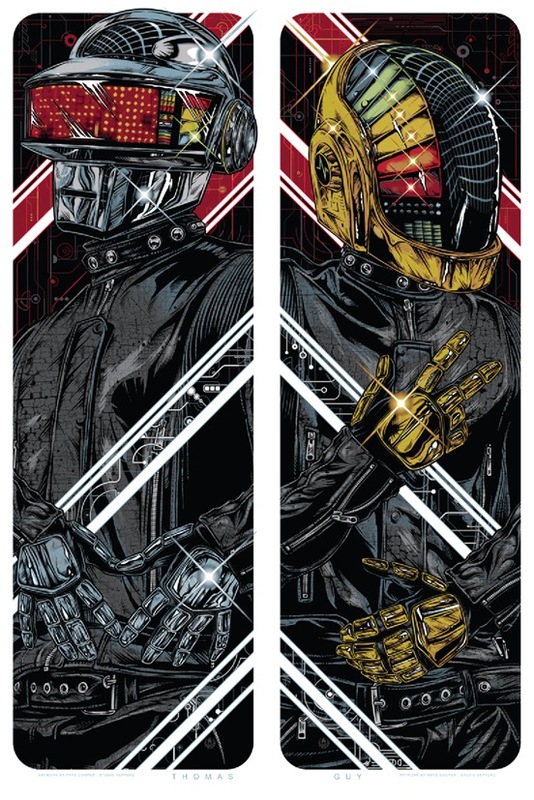 This entry was posted in Art Prints and tagged Daft Punk, Rhys Cooper by admin. Bookmark the permalink. Seems to be a common opinion.